Following allegations that Xiaomi phones may be silently uploading user details to a remote server, Finnish security firm F-Secure set out to investigate. The firm has now published a blog detailing how a brand new Xiaomi RedMi 1S smartphone silently uploaded a users' phone number, the network being used, the phone's IMEI number, as well as the phone's entire list of contacts to a Xiaomi server. 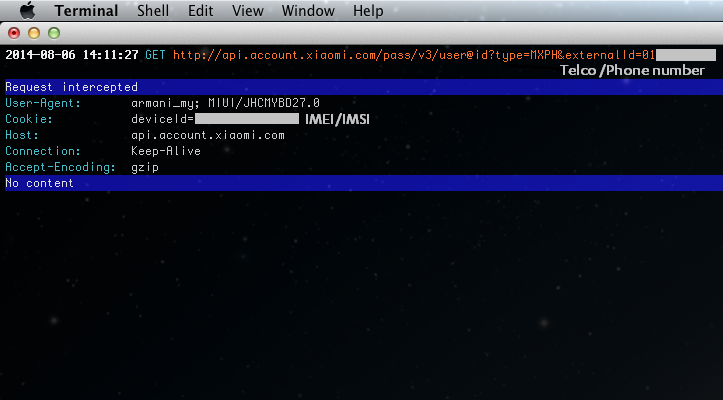 F-Secure said, "We saw that on startup, the phone sent the telco name to the server api.account.xiaomi.com. It also sent IMEI and phone number to the same server." The company then repeated the above steps but this time connecting to the Mi Cloud service. This time around the IMSI details (used to identify the user of a cellular network) were sent to api.account.xiaomi.com, as well as the IMEI and phone number. CEE 2016 IT SHOW SOLD FAKE XIAOMI PRODUCTS, NOT ILLEGAL IN S'PORE?